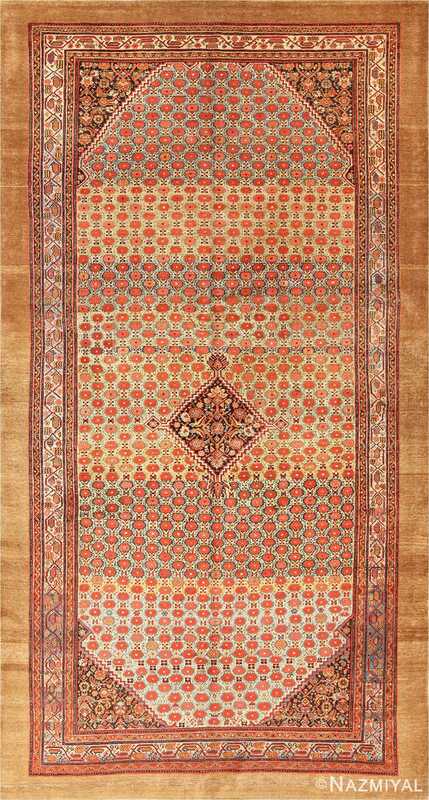 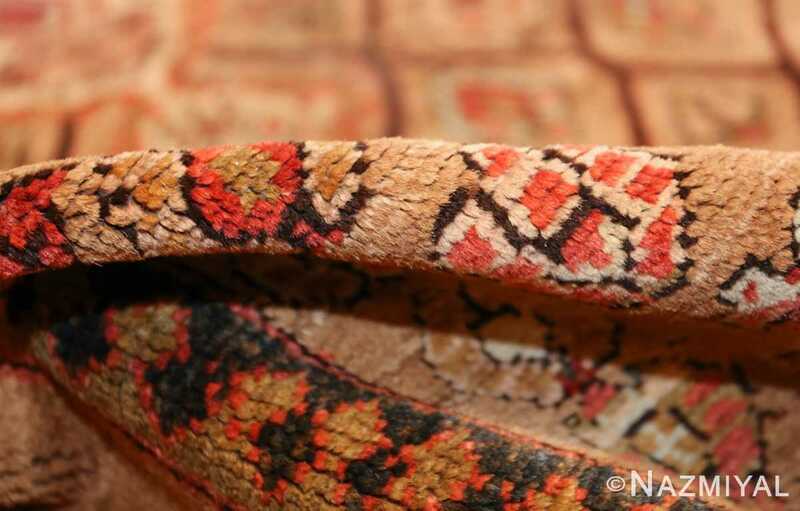 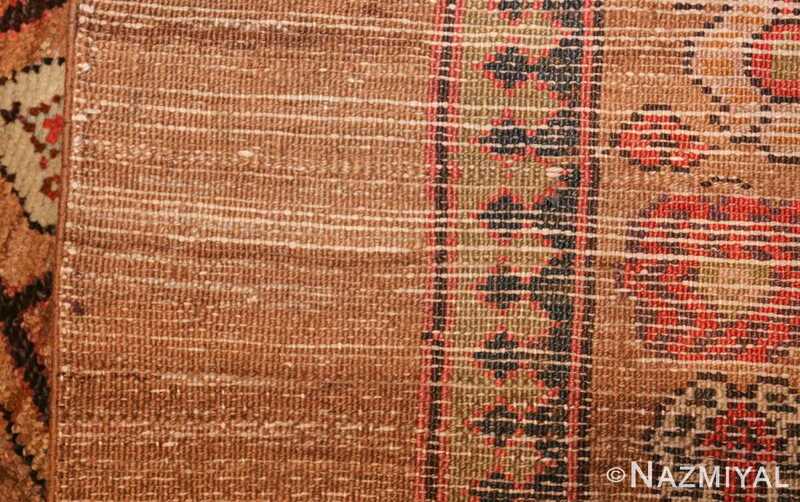 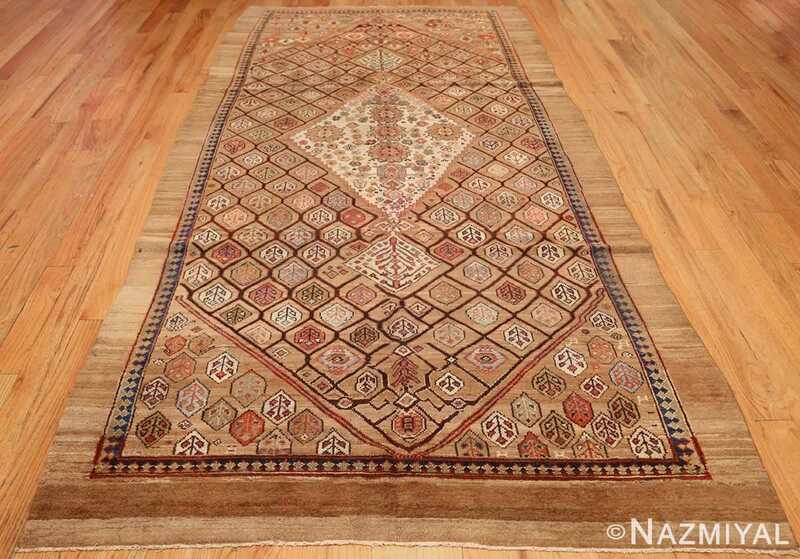 Antique Persian Serab Rug 50699, Country of Origin / Rug Type: Persian Rugs, Circa Date: 1900 -True to the traditional style of many exquisite Serab rugs, this wonderful rug uses vibrant earthy hues to unify and ground the elements within. 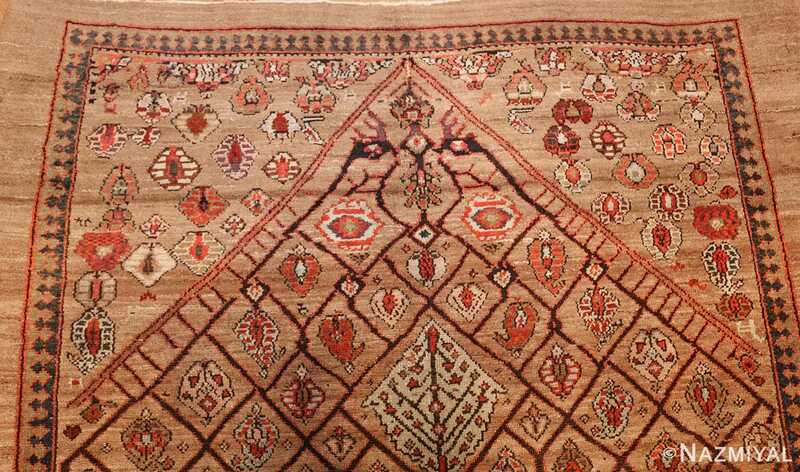 Numerous lines of motion create an angular flow between the central foreground pieces and the border itself. 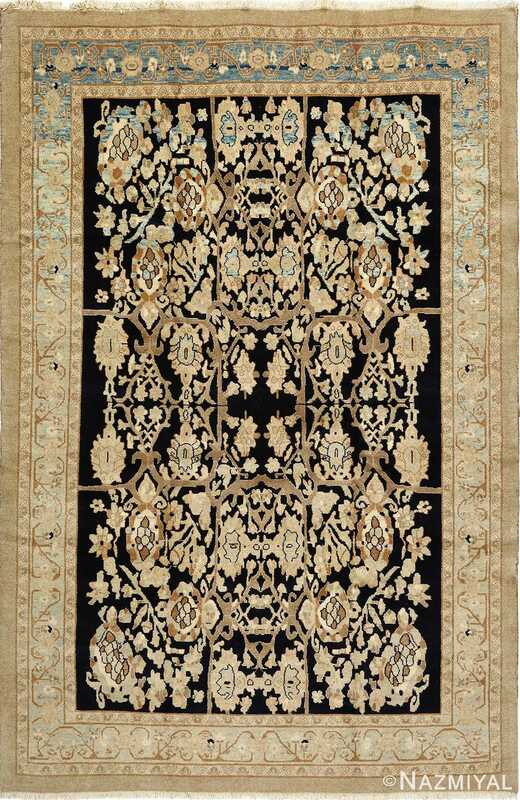 A single brown border stands out against a thinner black outline, which serves as both a separator and transitional element that leads the viewer to the heart of the Persian rug. 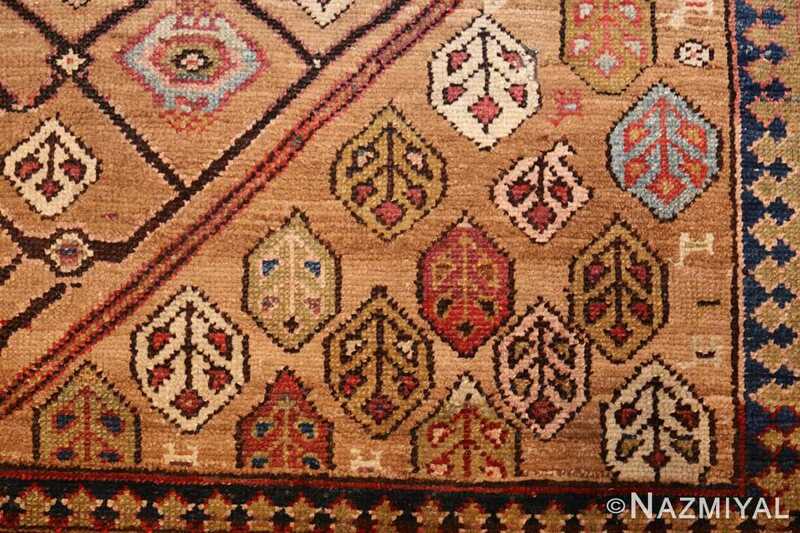 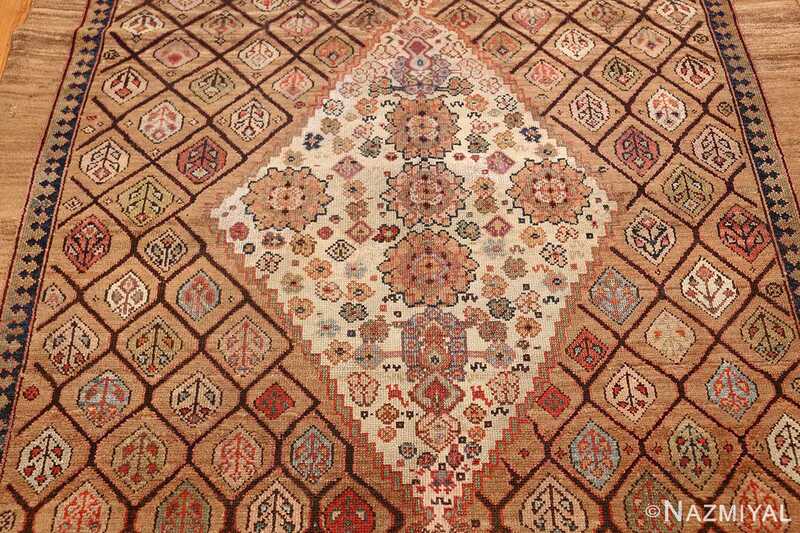 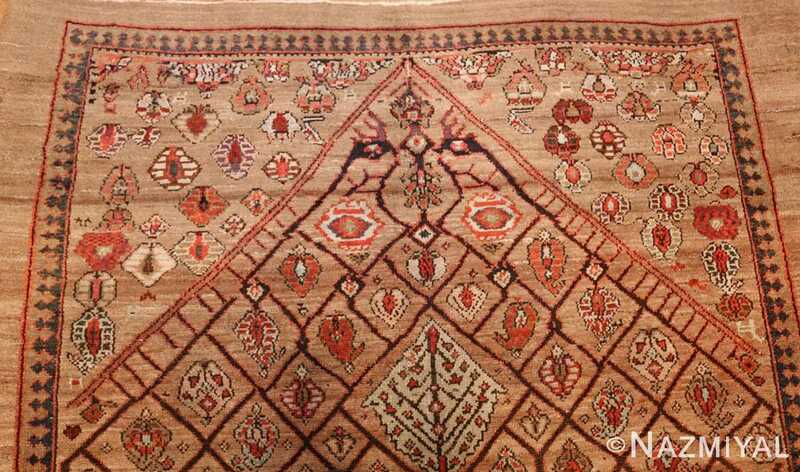 Here, at the rug’s core, there are several diamonds formed by the crossing of diagonal lines, and each diamond seems to hold a tiny blossom within. 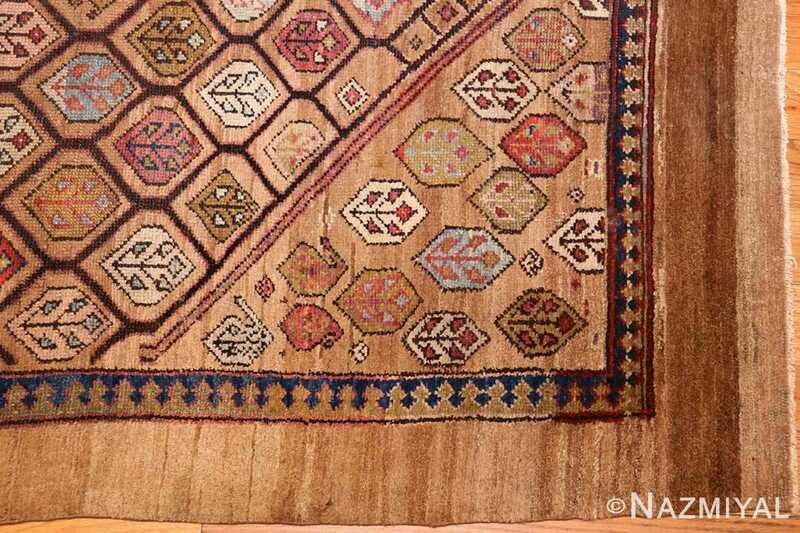 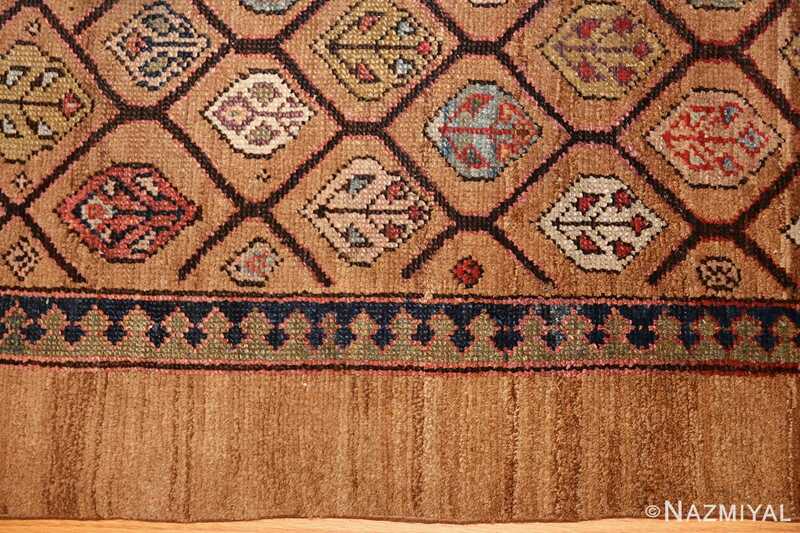 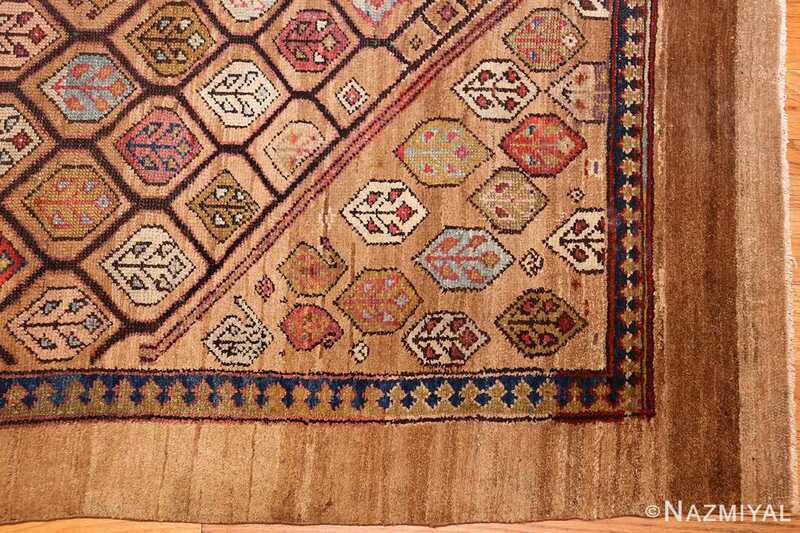 At the very center of the antique rug, a massive diamond breaks up the rest of the space.